It is worth visiting us as you may admire the picturesque hills of Pogórze and the wild hummocks of Beskid Niski - the ancient Karpacki Primeval Forest, explore the cultural heritage of the Pogórze people and Lemek people, visit the old churches, Orthodox churches, manor houses and a renaissance defensive manor house from the 16th century, see tripods and pump cranes, the last such facilities in Poland and Europe, absorb in thought by the wayside chapels and crosses, in old Jewish kirkut as well as war cemeteries from the First World War. The Gorlice Commune is situated in the south-eastern part of the Małopolska Voivodeship in the Gorlice District. The commune incorporates ten villages: Bielanka, Bystra, Dominikowice, Klęczany, Kobylanka, Kwiatonowice, Ropica Polska, Stróżówka, Szymbark and Zagórzany. The villages virtually embrace the town of Gorlice, with their fields, meadows, forests, hills and hummocks. The administrative area of the commune covers 10,283 hectares and the population is 17 thousand. Domestic and international roads are running through the commune: Wadowice -Przemyśl, Gorlice - Dukla and Tarnów - Gorlice – Konieczna - the shortest way from the central Poland to Slovakia, Hungary and further to the south of Europe. Geographically the Gorlice Commune is situated at Podkarpacie - the borderland of the Ciężkowicko - Bobowskie Foothills and Beskid Niski and part of the Jasielsko-Sanockie Depressions. As a result of such unique location, the landscape is varied, picturesque and attractive for the tourists: the mountainous and wooded south around Bielanka and the remaining hills. The valley of the River Ropa separates them. It is also here that a tourist finds silence and peace, pure air, traditional, regional cuisine and hospitality of the residents and the owners of the farms of the countryside tourism. The place is a perfect outing facility for walks, closer and distant hikes - walking, cycling and car driving to many attractions of the Gorlice District. The Gorlice Commune is provided with all, what is characteristic for the landscape, climate, flora, fauna, sacred architecture, ethnography tradition and cultural heritage of the entire Gorlice region, the so called Gorlice Land. In 1915, the frontline of the First World War stabilised on the area of the Gorlice Land. The frontline was running though the centre of the town Gorlice, the line of the river Ropa, further through Łużna up to Gromnik. The soldiers of the Austria-Hungary monarchy and the Russian Empire stood opposite. Position warfare was in progress. Poles fought in all armies. Ka¬rol Wojtyła, the father of John Paul II fought in the 96th Wadowice regiment nearby the hill Magdalena in Gorlice. In spring 1915, Germans and Austrians decided to break the frontline of Gorlice and eliminate Russia from the War. In order to execute this plan, Germans displaced part of their best armies from France to Gorlice. On the 2nd of May 1915, over thousand cannons started one of the largest military operations of the First World War on the eastern frontline -"the Gorlice operation". Over 300 thousand soldiers participated in the battle of Gorlice at the section of around 30 kilometers. The armies of Austria-Hungary and Prussia achieved a great success in the "breakthrough of Gorlice". The Russian army lost around 150 thousand soldiers, mostly imprisoned soldiers. Russians started to defend themselves. In total, 20 thousand soldiers fell; 75 thousand were wounded on the battlefield of the „Gorlice Operation". The Town of Gorlice, the so called „Gate of Victory" of the allied armies as well as the „Small Verdun", practically vanished. In order to consequently and permanently commemorate the victory the Austria-Hungary monarchy took a trouble to build soldiers' graveyards, supranational necropolis. Eighty six graveyards were created on the Gorlice Land. All perfectly blended into the landscape of Beskid Niski and Pogórze thanks to the designs of the Slovak architect, Dusan Jurkovic - wooden cemeteries and of the Viennese sculptor Hans Mayr - stone graveyards. Mostly located on the slopes and peaks of elevations, as if sign posts they marked the places of the last soldiers' duties" of those, who:„Divided in their lifetime, reconciled after death, together put their bones here". Nowadays, they make up the Trail of Military Cemeteries from the First World War. The trail features the cemete¬ries and graveyards of the villages of the Gorlice Commune: Kobylanka, Stróżówka, Ropica Polska and Zagórzany. 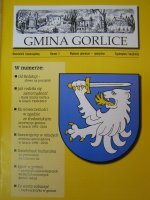 That is to say, what Gorlice means to us? By welcoming to the Gorlice Commune, we welcome to the Town of Gorlice at the same time. This is our administrative, economic, service and cultural centre. The first document about the settlement comes from 14th century in the „Chronicle of Poland" of Marcin Kromer. Dersław Karwacjan was the founder of the town - a Cracow townsman and banker. The restored Manor of Karwacjanie resembles this distant past - nowadays a seat of the Art Gallery of Małopolska, where, a statue of Dersław I Karwacjan - the town founder, stands opposite. For centuries, it was a centre of trade, shoe-making, weaving, production of cloth, which was bleached by the River Ropa. It had privileges to organise marketplaces and fairs. It traded with the cities of Hungary and Silesia. In the second half of the 19th century, after discovering the sources of crude oil nearby the town, such as in Dominikowice and Kobylanka, it became a cradle of the crude oil industry. Ignacy Łukasiewicz lived in Gorlice between 1853 and 1858 conducting works over crude oil distillation and lamp construction. In 1854, the first paraffin street lamp in the world was lit by the picturesque chapel of the Sorrowful Christ at the Węgierska Street. Ignacy Łukasiewicz is a patron of the Regional Museum of the Polish Tourist and Sight-Seeing Society at Wąska Street. The oldest tenement house of Gorlice, from around 1780, teaches us about the history of the town, Gorlice and its surroundings, as a cradle of the crude oil industry as well as the place of the greatest battle of the First World War on the eastern frontline - „The Battle of Gorlice". The soldiers' necropolis on Cmentarna Góra at J. Korczaka Street commemorates this event. While walking around Gor¬lice, it is worth visiting the Hollest Virgin Mary parish church from 1890; Town Hall of Gorlice; rest in the beautiful Town Park and relax on the recreation and sport area. „TO THE MOUNTAINS, TO THE MOUNTAINS, NICE COMRADE..."
The commune is created by ten villages. Each has its history and historical monuments: secular and sacred, the charms of nature and landscape, traditions, religious places, which are worth visiting, seeing, remembering and promoting. Gorlice is the perfect outing place to these spots - either by a car, a bicycle or walking. You may choose any direction as most of these villages are directly adjacent to the town. The two of them: Stróżówka and Ropica Polska have been historically associated with Gorlice for centuries. Ropica Polska is located by the Gorlice-Nowy Sącz route. The village is provided with the soldiers' necropolis from the First World War situated near the church, designed by H. Mayr, commemorating the events from the 2nd of May 1915. Ropica Polska also has its contemporary cross. The Millennium Cross, a souvenir of the break of the centuries - the 20th and the 21st century towering over the land on the beautiful hill. Szymbark - the largest village of the Gorlice Commune directly neighbours with Ropica Polska. This holiday resort has a rich history, historical monuments and a nature reserve. The oldest document on Szymbark comes from 1369. A bricked Renaissance defensive manor house from the 16th century is a local architectonic peculiarity - the seat of the Gładysz family who colonised the upper basin of the River Ropa during the reign of the King Kazimierz Wielki. Thanks to the Gładysz family, Szymbark was a town for a short period of time, the following names prove that fact: Miejska Góra and Miastko. The renaissance manor attracts with its beauty, dignity and location on the high river scarp. There is a heritage park next to the manor - The Centre of Folk Housing Development with a collection of exhibits of the old foothills village: cottages, windmills, a barn and a cowshed, an oil mill and a smithy. One may also visit a townsman's manor house from the beginning of the 20th century, moved from Gorlice, with an exposition of manor souvenirs, situated between the fort and the heritage park. The nearby wooden Saint Wojciech larch church from 1782 is worth attention here as well. According to the local legend, the church was established on the spot, where the Saint Wojciech stopped on the way to Rome from Gniezno. Apart from the baroque church, there is an Orthodox church from 1790 in Wólka, which calls up the bonds with the Łemek Land. The three military cemeteries of the design of Hans Mayr commemorate the times of the „Breakthrough of Gorlice". However, historical monuments are not the only features that distinguish Szymbark in the Gorlice Commune. It is also distinguished by nature. The village is surrounded by forest massifs of Maślana Góra (753 m), which make up a nature reserve of Je¬lenia Góra (684 m). It is actually here, on the southern slope that a landslide lake is located, the so-called „Morskie Oko" of Beskidy. The two villages, differing in landscape, history and cultural heritage, are neighbouring with Szymbark. Bielanka, an old Łemek village, established in the l5th century in the estate of the Gładysz family is situated four kilometres to the south of Szymbark, in the rangę of Magura Małastowska. Over the centuries, it was famous for a production of tar, a medicine produced of pine and birch resin, sold by wandering tar merchants. Old chyże - Łemek cottages preserved in the village as well as a wooden Pokrowa (Guardian) Orthodox church from 1773 with iconostasis from 1783, a miraculous fire survivor. The Łe¬mek people make up the majority in the village. The village Bystra of Pogórze, is situated in the north of Szymbark. Its beginnings reach 1369. The village is provided with the 19th-century manor house. The village is picturesquely located. The place is a perfect outing spot for trips to Maślana Góra and Łysa Góra overlooking the beautiful landscape of Pogórze. A road to Gorlice is running from Bystra - next to the Golgota of Gorlice - a hill, where the stations of the Way of the Cross were established as well as the Holy Sepulchre chapels and a figure of the Resurrected Christ on a high pedestal, which guards the Land of Gorlice since 2006. A unique place - full of history, faith and a picturesque panorama of the Gorlice Commune's villages. Reaching the village Stróżówka, which has the history older than Gorlice. The area has five military cemeteries from the „Breakthrough of Gorlice". The village Zagórzany from the 13th century neighbours with Stróżówka. It was the property of the Benedictines' monastery from Tyniec near Cracow for centuries. The Wielopolski family and then the Skrzyński family - the great families from Wielopolska, were the owners of the properties at the beginning of the 19th century. A neo-gothic park and a palace from 1839 of the Skrzyński family made up the local decoration until the Second World War. It was „one of the most magnificent and therefore most beautiful in the entire region". Over the interwar period, the pa¬lace was a residence of Aleksander Skrzyński, between 192the Minister of Foreign Affairs and the Prime Minister of the Second Republic of Poland between 1922 and 1926. Next to the palace there is a mausoleum in the shape of a pyramid crowned with a cross of the Skrzyński family. The tomb is situated beyond the estate, above the seat of the Gorlice Forest District, visible from the Łużna - Zagórzany road and available for tourists. There is another military cemetery from the First World War to the east of the mausoleum on a hill with the fallen German and Austrian soldiers. It is also worth popping in the Saint Laurel church in Zagórzany from 1816, featuring the 18th-century painting of the Crucified Christ in the early-baroque main altar. Kwiatonowice is an extremely picturesquely located village of the Gorlice Commune adjacent to Zagórzany. There is a hill overlooking Beskid Niski, Pogórze Ciężkowickie and Gorlice. One-storeyed manor house, a private property built at the beginning of the 19th century, is situated in the centre of the village. It is beautifully restored and features a manor garden with the largest concentration of trees - monuments of nature in the commune. The worth seeing is Kobylanka, settled in 1342 by Kazimierz Wielki. In 1852, the then squire, the duke Stanisław Jabłonowski, married with the countess Maria Wielopolska, distilled crude oil in Kobylanka obtaining asphalt and paraffin, which was suitable for paraffin lamps. The crude oil source in Koby¬lanka, discovered the next year, makes the village a pioneer place in the development of the worldwide crude oil industry. Although, the prosperity period of the crude oil industry has already passed, the pump cranes and tripods visible on the fields - the former crude oil excavation equipment - commemorate the cradle of the crude oil industry. Kobylanka features one large historical monument. This is a sanctuary of the Crucified Christ, so-called the Jesus of Kobylanka. In the 17th century, the miraculous painting was given by the Pope Innocent XI to the owner of Kobylanka and the Polish Vatican envoy Jan Wielopolski. In 1728, the Cracow bishop recognised the miraculo¬us painting of the Jesus of Kobylanka. From this time on, it became a pilgrimage place for a large number of pilgrims. The indulgences even today gather several thousand worshippers, who come on the Whit Sunday and the second Sunday of September in honour of the Holly Cross Raising. As in many villages of the Gorlice Commune, also Kobylanka features the military cemeteries of the First World War. One of them is situated within the range of the fencing of the neo-gothic chapel from 1893, the second - situated in a group of oaks - both designed by Hans Mayr. Kobylanka village neighbours with Dominikowice. It is picturesquely situated on an undulated terrain with beautiful view points. A broad forest complex of the Łysula Hill (551 m) is visible in the background. This is the oldest village of the Gorlice Land. In 1279, Bolesław Wstydliwy granted the village to a knight Dominik Pieniążek. Crude oil was the abundance of this land since the middle of the 19th century. The pump cranes and tripods visible today on the fields of Dominikowice add charm and uniqueness to its landscape. Although we are only a „tiny spot" on the „world map", we are provided with good road and railway connections with Małopolska, Poland and the world. - a nature reserve on Jelenia Góra in Szymbark.with a landslide lake, the so-called „Morskie Oko" of Beskidy. The Timber Architecture Trail is running across the Gorlice Commune. In the Małopolska Voivodship there are 237 architectural compounds such as: churches, Orthodox churches, chapels, belfries, granaries, cottages, manor houses and many more. All buildings located in this trail are signed. Among them are such historical memorials as: Saint Wojciech’s church built in 1782, The Centre of Folk Housing Development - a heritage park, Mother of God’s Birth Orthodox Church in Szymbark. The Gorlice commune is located on The Cycling Route of Karpaty in Małopolska. The Royal Cycling Route is going through the following places: Biecz – Zagórzany – gorlice – Nowy Sącz – Stary Sącz – Obidza – Przysłop Pass. The two-way Cycling Wine Route starts in Konieczna, which is on the border with Slovakia and is running through Gorlice, Kobylanka, Biecz, Bobowa, Rożnów, Tropie. Gorlice Land from falling into oblivion. • Review of Christmas Carols of the Gorlice Land in January. • Panorama of Cultures - an open air event, taking place in July in the heritage park in Szymbark. "Beskidy" Folklore Band and Brass Band by the Volunteering Fire Brigade in Dominikowice with so-called “mażoretki” dancing girls who juggle the sticks are active here. The Gorlice Commune has still been developing and highlighting the importance of modernity and entrepreneurship. It has been investing into education, protection of the environment, infrastructure, sport and culture – keeping in mind the residents’ welfare. During the last few years the commune gained funds mainly from the UE, due to that fact it carried out many investments. Those rapid changes cause and at the same time place the Gorlice Commune in the lead among other local communes (which govern their finances well). Correspondingly, the Gorlice Commune is deeply involved in the investments aiming at the protection of the environment. The visible proof may be the fact of singling out the Gorlice Commune for three times as “The Environmentally Friendly Parish” and as “The Patron of Polish Ecology” in the National Ecology Contest called “ Environmentally Friendly” under the honourable auspices of the President of Poland.